The D-one is very active in Europe, and this year we decided to make life easier by holding events on consecutive weekends so that travellers can get two for the price of one journey. 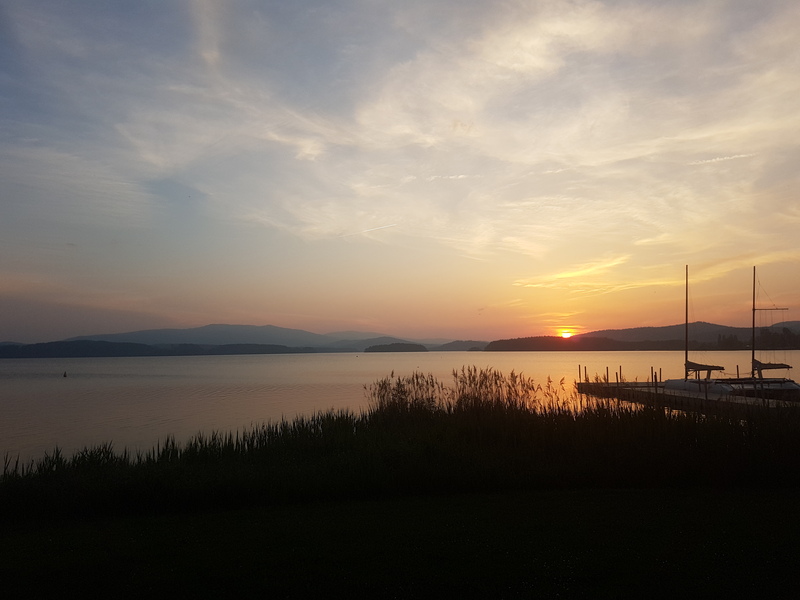 With the record-breaking Gold Cup happening next week in St Gilgen, Austria, last weekend saw the fleet gather just across the border in Lipno, Czech Republic. 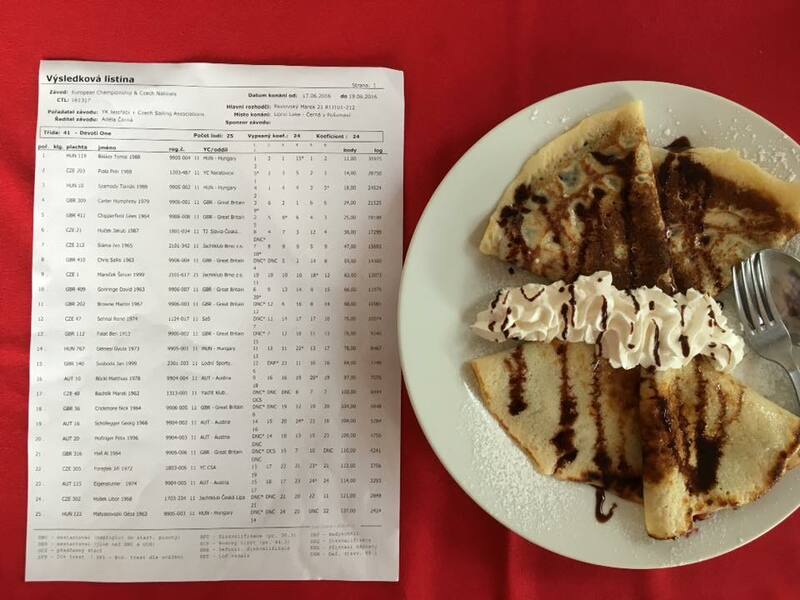 17 boats from the Czech, Austrian, and British fleets enjoyed a fantastic weekend alongside the Compotech Cat Championship. Impeccable race management gave us seven races in a warm 5-15 knot wind, with copious food and drink ashore in a beautiful setting. As with all good lake sailing, the continuous shifts and puffs meant that everyone could have a moment of glory, usually shortly followed by a period of ignominy. Most races ended with 3-4 boats overlapped, with one memorable finish of 8 overlapped D-Ones making the line look a little short. Worthy Champion was Viktor Teply, Czech Laser representative at the Rio Olympics, closely followed by Giles Chipperfield then Jakub Hucek. Lipno proved once again to be a marvellous place to sail, a spectacular area to visit and offered a very very warm Czech welcome. We will certainly be back, but next up ….the Gold Cup on the Wolfgangsee near Salzburg. Now doesn’t that sound like a good trip? After some excellent racing in 2017, we are delighted to have a full circuit organised for 2018, which is as we agreed at the Europeans at Alassio this year. We hope that sending these dates out early will mean that even more sailors can come and join our great racing. This should also help to ensure that National events can avoid clashes with the major international events. 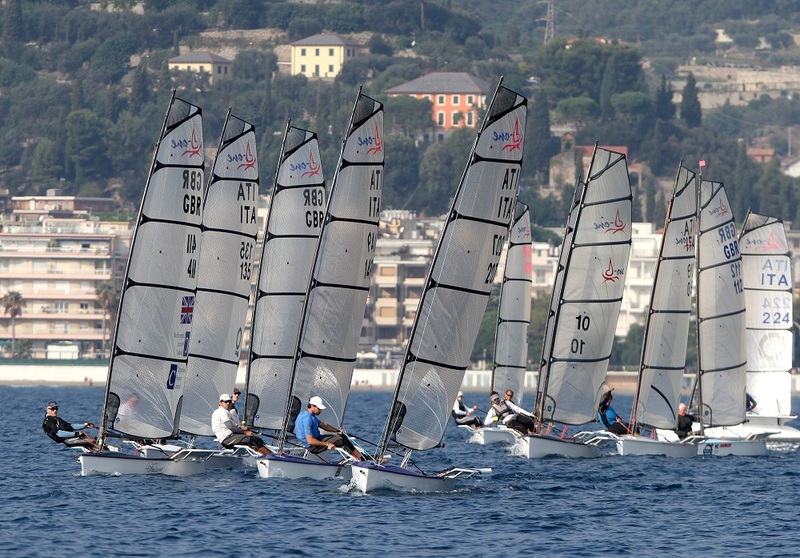 We agreed this year that the major European events have an associated event close to the location on the previous weekend, to allow travelling sailors to sail in two events for just one trip. What more could you want? Czech Open National Championship : Lipno, CZE. 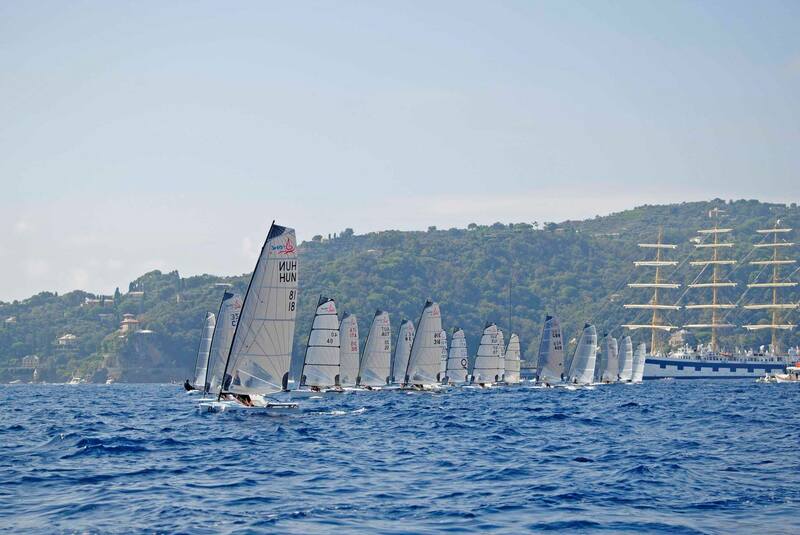 15/16-September 2018 Please note: this event will now be held at Santa Margherita Ligure before the Europeans. There will also be training at Sanat Margherita 17/18/19 September for anyone interested. Thank you to everyone who has helped put this together. More details will be added to the links above as the details are confirmed. If you have any questions or comments please contact the names above, and please forward this information to anyone who may be interested. 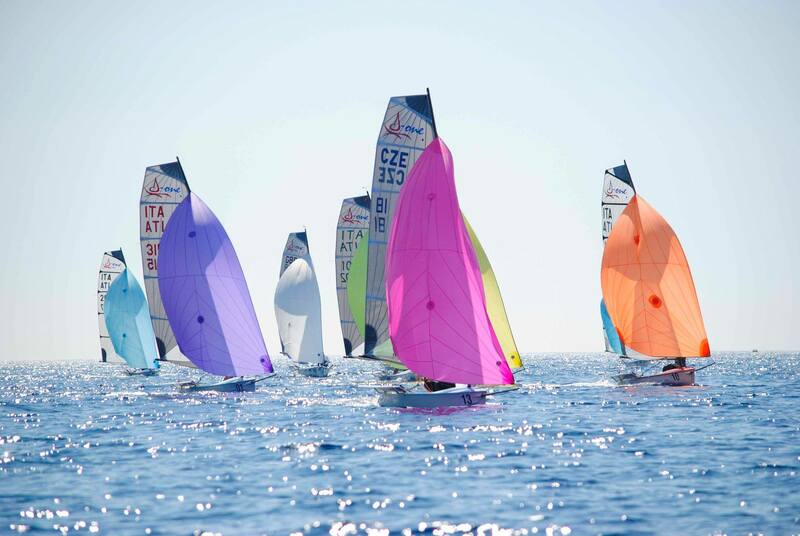 All the competitors at the Alassio European Champioships enjoyed a very productive meeting where we discussed plans for the major events for 2018 and 2019, and also a number of other important matters about the future of the class. Since some of these matters relate the Devoti Sailing's support of the class, Chris Sallis summarised the meeting in a letter to Devoti Sailing supported by all those present. This is attached below. We will of course share the response and any decisions when they are received. The D-One fleet enjoyed a fantastic European Championship at Camp Jestrabi, Lake Lipno in the Czech Republic. 11 Czech boats were joined by good numbers of Hungarian, Austrian and British boats to make a strong 25-boat fleet. Congratulations to Tomai Balazs (HUN119) on the win, closely followed by Petr Fiala (CZE203) and Tamas Szamody (HUN10). The last day started with a tie-break for 2nd, 3rd and 4th, so commiserations to Humphrey Carter (GBR309) who just missed the podium. - this means that everybody who starts a race in the series has a chance of winning this fantastic £600-prize! The full competition rules are available on the website here: TravellersRaffle.pdf- the more races you enter the greater the chance of winning! This year's 2015 D-One GBR Travellers Series visits some great venues, starting with Paignton POSH on 9/10 May. Click Read More to see the full circuit, and come and join the fun. 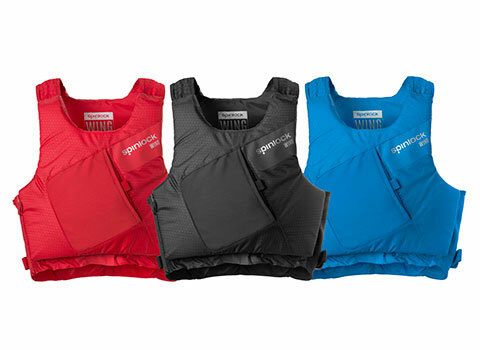 update: We now have some additional prizes provided by Spinlock. In support of the launch of their exciting new range of 50N PFDs this season, Spinlock will be supplying a number of WINGS as prizes for key events. prize to have "Wings" for those who sail the boat with wings!